If you thought Kahr firearms were small, wait until you get a load of the CM Series. Kahr hit the market less than 30 years ago and has already changed the way the world approaches concealable carry weapons (CCW’s). While these pistols may look similar, it’s their many nuances which make them feel worlds apart. Get your hands on a couple of them to see exactly what I mean, but in the mean time, buckle up for a review. We’re gonna be looking at the Kahr CM9, which is part of the vaunted Kahr Value Series. However, before we begin, I highly recommend checking out our rundown on the entire Kahr Firearms Company just to get a glimpse of the past, present and future of this feel-good American success story. Sights: Drift adjustable, white bar-dot combat sights. There are so many features within the Kahr CM9 that make it a fantastic concealed carry weapon. The relative newcomer took the design of their CW series guns and shrunk them into a 3” barreled pistol. Outfitted with a black textured polymer frame, it’s not the weight (14 oz!) that makes the CM9 so outstanding, rather it’s the extraordinary dimensions; at less than 6” long, 4” tall, and less than 1” wide, the CM9 is seriously small. On to the Kahr’s durability, which is surprisingly impressive considering that they’re supposed to be in the Value Series, not the Premium one. They incorporated patented 4140 steel inserts into the fronts and backs of the polymer frames for added strength and longevity. Additionally, they gave the CM9s stainless steel mags and slides. Furthermore, Kahr crafted metal magazine catches that could probably last a lifetime. My next question was how the CM9 would feel in my hands, and I was pleasantly surprised. I generally don’t love subcompact pistols because I tend to have trouble holding them with my large hands. Nevertheless, the Pachmayr tactical rubber grip on this guy feels great. What the gun lacks in size it makes up for in ergonomics. Also, its point and shoot ability is very impressive; the CM9 has a solid 7 lb. tungsten-finished trigger and wind-adjustable white bar-dot combat sights. When it comes to the CM9’s performance, there are so many things to discuss I don’t even know where to begin. Let’s first point out where this Kahr is just average and then we’ll get to the more exciting features. The CM9 was built with conventional rifling and pinned down sights, and yet it’s still very accurate. The next factor, which could be a make-or-break for some, is the double action only trigger which pulls at a heavy 7 lbs. 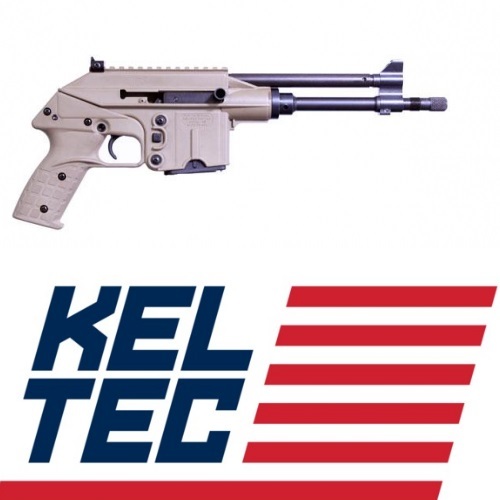 All of Kahr Firearms are constructed with several distinctive patents which provide for a unique shooting experience. The CM9 features Kahr’s noteworthy cocking cam-trigger system which both unlocks the firing pin block (passive safety) and completes its cocking and releases of the firing pin. The novel patented operation provides a “safe-cam action” and an astoundingly smooth double-action only trigger stroke. This attribute makes Kahr’s great for carrying since they are safer and faster than your average CCW. Looking at the CM9’s slide, you’ll notice that they’ve integrated a MIM (metal-injection-molded) slide stop lever. Although this doesn’t make a huge difference, it does mean that the CM has fewer machining operations and employs simple roll markings instead of engraved markings. Sometimes less IS more, and Kahr’s Value Series testifies to that truth. In terms of its handling, the CM9 is pretty ergonomic, as previously mentioned. Kahr gave these pistols comfortable grips which definitely boosts control. Additionally, to further ensure a pleasant shooting experience, Kahr engineered an offset barrel which raises the shooter’s hand closer to the centerline of the bore. Ultimately, this keeps shooting simple and easy, not to mention that they also managed to reduce felt recoil and muzzle flip. On Kahr Firearms’ website, they’ve posted a video showing of several of their Value Series guns, and it’s something to see. One of these clips features them testing their accuracy at 100 yards. The CM9 is still surprisingly accurate at this great distance. The single-stacked Kahr CM9 ships with one durable six-round mag made from top-grade corrosive resistant 400 Series stainless steel. 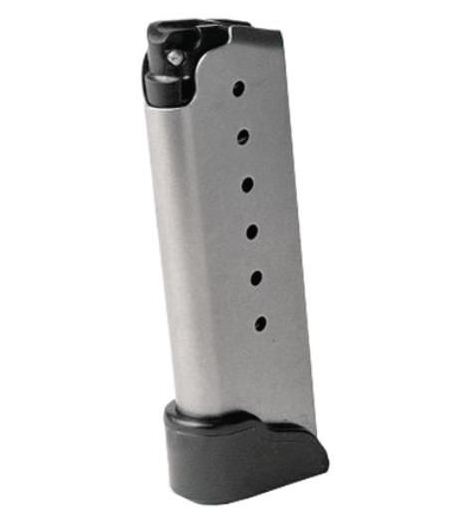 These American-made mags are plasma welded and treated to remove excess residue and nicks. To keep them comfortable and efficient, Kahr built them with Wolff Gunsprings and gave them a flush baseplate. 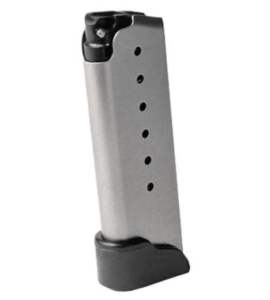 Since Kahr only supplies one mag for this Value Series gun, I’d go ahead and pick up their 7-Round 9mm Magazine W/ Finger Extension from their catalog or another online supplier. Kahr’s CCWs are no nonsense guns, so it’s important that you invest in a no nonsense holster to match. Since these semi-autos are geared to be super compact and concealable, there’s bound to be endless options out there. When picking a holster, there are several options to consider, including where you want to carry, what material, and how concealable you want your CM9 to be. I’ve become a big fan of AlienGear Holsters over the past year and they have a pretty nice selection to choose from. I recommend going with their best-selling Kahr CM9 Cloak Tuck 3.0 IWB (inside the waistband) Holster; they also offer a matching extra mag carrier which is a smart buy. If you’re looking for super concealability, consider the Active Pro Gear Pocket Holster (very affordable) or their comfortable ankle holster. 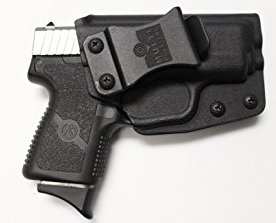 Your next level holster might be the DeSantis Tuck-This (ambidextrous) Holster; this versatile choice is designed to be used as an inside the waistband, crossdraw, or small of the back holster. As a compact CCW, I don’t advise investing in any accessories for your CM9, not that there are many to choose from. Your aftermarket options are pretty weak for this Kahr, but that’s not to worry about. The only thing to seriously consider buying is a nice leather magazine pouch which can be bought from Kahr directly. There used to be complaints of Kahr guns having quality control issues, but those seem to be a thing of the past. As a subcompact DAO semi-auto, the CM9 should be broken in a bit and that should mitigate any problems. Furthermore, I’ve found that Kahrs are ammo sensitive so be sure not to be frugal with your cartridges. Choosing a Kahr over a more well-established firearm is no easy task, so let’s see how it matches up against comparable weapons. Compared to the Glock 43, the CM9 is around $100 cheaper, shorter, and has a better grip. They handle relatively similarly; they both can be cocked easily, have very manageable recoil, and great accuracy. 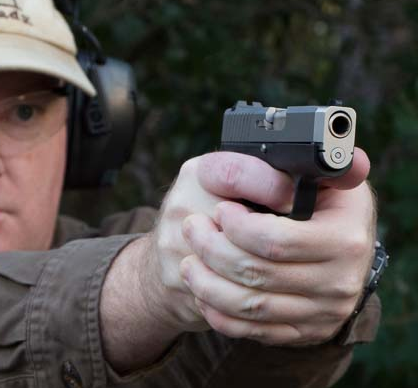 Although they both have double-action only triggers, the Kahr offers an easier pull. If you’re a fan of Glocks, then I’d stick with what you’re comfortable with. Besides for the 43, the Kahr CM9 is also often compared to the Glock 26. 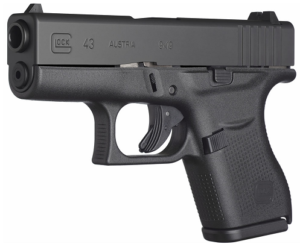 At first glance, you’ll notice that the Glock is slightly bulkier than the ultra-compact Kahr. Although the latter may be less expensive, it does come with one less mag and doesn’t have the kind of reputation which Glock has. However, in terms of their mags, the heavier Glock offers 4 more rounds. Like Glock, there are other classic companies who’ve produced comparable firearms to the Kahr CM9. The Ruger LC9S is notorious for jamming problems which is a huge red flag. Although they are very similar in size and weight, the LC9S is crafted with better quality materials for added durability which contributes to its higher price tag. I’m not a huge fan of Ruger, and considering the price of the Kahr, I’d stick with the CM9. 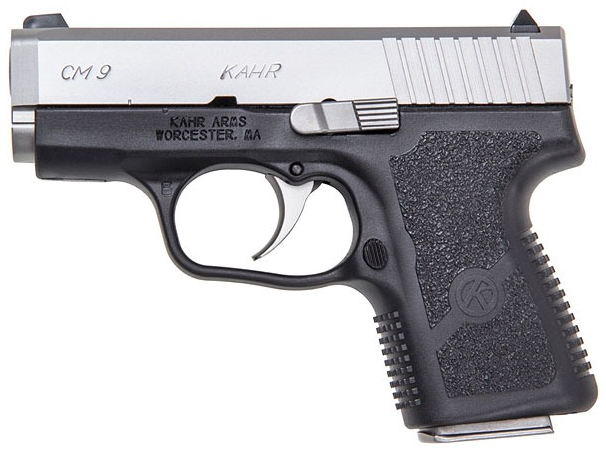 Even within Kahr’s catalog you can compare the CM9 to its upgraded older brother, the PM9. The PM9 is significantly more expensive, but the extra cost gives you several extra features and decreased size and weight. Besides for the extra mag and ability to change the sights, the premium 9mm pistol has polygonal rifling and more durable components which makes it more accurate and resilient. All things considered, if price is a big concern, don’t feel like you’re missing out so much by going with the CM; but if the extra cash isn’t a problem, definitely go for the sweet PM. The Kahr CM9 is an all-around great gun to own. The American firearm is not only fun to shoot, but it’s also a fantastic choice to carry. As a super-compact CCW, the CM9 is highly accurate, comfortable to handle, and affordable weapon. Bond Arms Derringers Review: Is Your Gun As Good As Your Bond?